A family has refused to board a deportation flight to Australia because of fears their father might have a fatal stroke if they did so. Sangarapillai Balachandran, who turns 61 on Tuesday, has previously had three strokes and suffers from high blood pressure which doctors have linked to stress. An expert medical report says he could be in serious danger if he flies. The Home Office sent four paramedics and an ambulance to collect him from a hotel near Heathrow airport on Monday. The family had been told that they must leave together voluntarily or face the prospect of forcible removal separately in the near future. As the time to board the 9.30pm Qatar Airways flight to Australia drew closer, Balachandran’s blood pressure climbed to 169/113, but the Home Office-appointed paramedics said he was fit to fly. Balachandran appeared disoriented and, at times, only semi-conscious as the family waited in the airport. 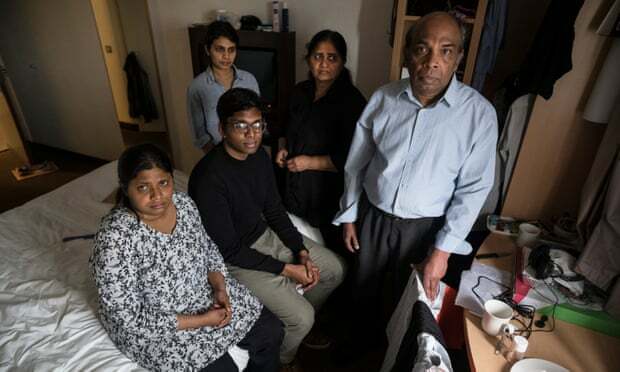 Balachandran’s son Pranavan, 23, said: “We were told that, if we didn’t board the plane, we will face forced removal by the Home Office further down the line and might be deported individually instead of as a family with my dad remaining here because of his poor health. “We decided we would be prepared to do that if it means that my dad can be safe and can avoid having another stroke. If his blood pressure had been stable, we would have got on the plane but it was not stable and it was rising. After refusing to board the flight, it left without them and the Home Office put the family up in a hotel for a night. Balachandran, a Sri Lankan Tamil with Australian citizenship, says that each of his strokes occurred during periods of stress over his family’s immigration case. The report said Balachandran’s condition was likely to worsen as the Home Office removal drew closer. It said he was at risk of “life-threatening brain damage”, was suffering from severe depression and was suicidal. 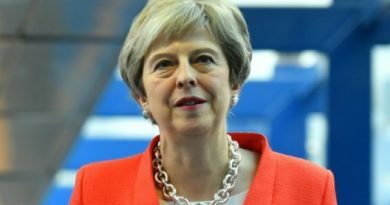 Legal submissions lodged under provisions of the Human Rights Act by the family’s solicitor stated that removal would give rise to “significantly increased risk of death”. The family has previously twice agreed to return to Australia in the past year but both times were unable to go because Balachandran was unfit to fly. The most recent was in February, when he was taken off the plane because he became unwell. After the family told the flight crew about the three strokes, he was taken to hospital and treated overnight to lower his blood pressure. Balachandran is a highly specialised engineer with expertise in water purification systems. He was headhunted by a British company in 2007 because there was a shortage of civil engineers with his particular skills in the UK at the time. His family had moved from Sri Lanka to Australia a decade before as part of a migrant recruitment programme and all had been granted citizenship there. His youngest daughter, Sinthuja, 28, gained a first class degree in economics at Queen Mary University and passed the civil service fast-stream exams. She was accepted for a job in the civil service dependent on resolving her immigration status. Her brother was accepted to do a degree in computer science at Queen Mary University but was unable to take up the place because of his immigration status. The family’s immigration problems started when they applied for leave to remain in 2012. They were refused but subsequently won an appeal in July 2013, when the judge ordered the Home Office to reconsider the case. Officials then failed to write to the family for almost a year. The family spent a night sleeping at a Heathrow terminal but realised that the father’s health problems meant it was not a sustainable solution. In desperation, they approached the Home Office and asked to be locked up in detention as an alternative to being on the streets. A petition to try to prevent the family from being removed, launched by friends and supporters, has attracted several thousand signatures. 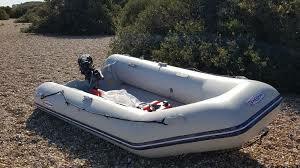 The family said the Home Office had informed them they would be unable to return precious documents the family had handed over including birth certificates, the parents’ marriage certificate, a university degree graduation certificate and university offer letters. The Home Office declined to comment on the issue of the missing documents.